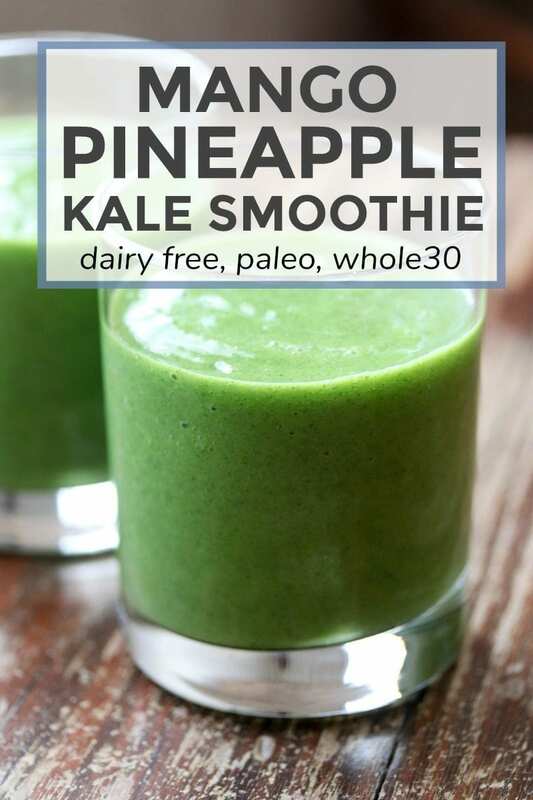 This healthy, nutrient dense paleo and Whole30 compliant mango pineapple kale smoothie tastes great even though there’s a lot of something you may not like in it – kale! Ken likes smoothies a lot. He wants one for breakfast on most mornings. The requirements: kale and lots of veggies. That’s what I usually make for him but when I want one too I need fruit in it. That said, I typically don’t drink smoothies because they don’t fill me up. They don’t even fill me up if I add filling healthy fats like avocado and coconut oil to them. 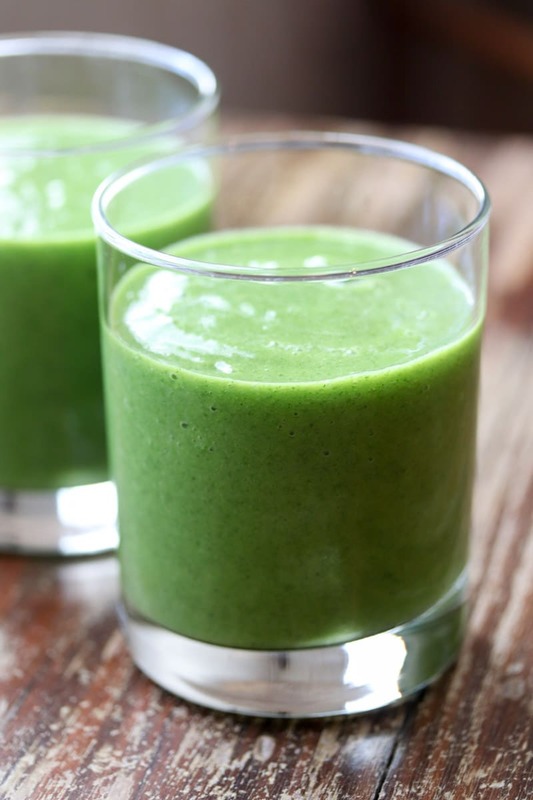 Breakfast is usually eggs and meat for me but a good smoothie is enjoyable on occasion. One time we went to Asheville, NC for a few days and found a great smoothie place. We loved their smoothies so much that we had them 4 days in a row. If you’re ever in Asheville and craving a smoothie, go to Mountain Juicery. Their smoothies are amazing! 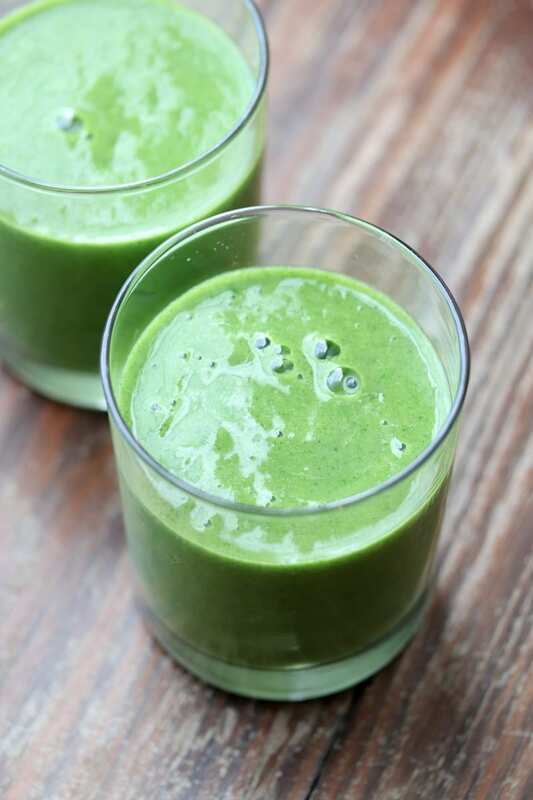 The Heavy Greens, You Lift Bro, and Peanut Butter Crunch smoothies were my favs! So like I said before, smoothies don’t really fill me up. 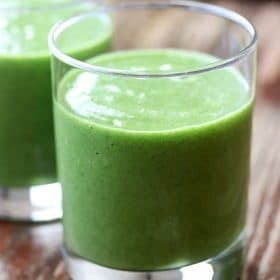 This mango pineapple kale smoothie didn’t keep me full until lunchtime but it kept me full for a couple hours. I call it a morning snack. To make it completely filling for me, I would have a hard boiled egg and a clean beef stick (I love Chomps sticks!) along-side it. Somehow these smoothies keep Ken full until lunchtime but I know everyone is different. I do better with fats and protein, he is completely fine with a veggie and/or fruit packed smoothie.